Built in 2002, excellent opportunity to invest a strip shopping center in the heart of Fredericksburg. The current lease rates are under market allowing an investor to take advantage of future increased market rents. 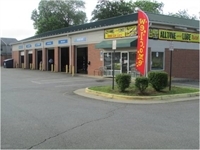 Conveniently located off of Salem Church Road, daily traffic count of 25,000 vehicles per day. Surrounded by many retailers including Chiropractic Center, Minnie Land and general offices. Fredericksburg is a part of the Washington, DC Metropolitan Statistical Area hand has experienced a booming +66 percent population growth since the year 2000 and is projected for another +10 percent increase over the next five years.